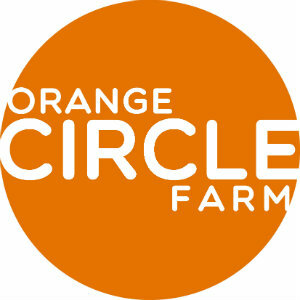 After four years on rented land in Stratham, Orange Circle Farm is moving to its permanent home on newly conserved farmland in Berwick in 2018! With a diverse, densely planted garden of less than two acres, we will continue to serve the communities of Stratham and Kittery as well as Berwick through our CSA program. Details about our all of our offerings can be found on the farm's website. no synthetic chemicals used, no GMO used. 2018 is year 2 of 3 of transitioning our land to certified organic production. Our newsletter posts special offerings through the year for items that can be ordered online and picked up at the farm. A diverse array of vegetables including carrots, tomatoes, sweet corn, green beans, salad greens, beets, onions, garlic and so much more! Our CSA program starts in early June and continues for 19 weeks with multiple pickup options in Stratham, Kittery and Berwick. Members are provided with 8-12 items each week reflecting the diversity in the field and changing seasons. Our Fall CSA program provides an additional 4-6 weeks once the peak season CSA ends in mid-October.